The SARD-SC Maize component carried out its annual monitoring and evaluation exercise for the year in Zambia from 4 to 11 April. The aim was to ensure that activities conducted in the maize value chain were in line with the objectives of the project, and also to establish the effectiveness of the project. The seven-person monitoring team was led by Sam Ajala, SARD-SC project Maize Commodity Specialist. The agenda for meetings and itinerary of site visits were developed and shared by Jeremiah Hantolo, Project Country Coordinator. The monitoring and evaluation exercise took the team to fields in target districts of the country to interact directly with project beneficiaries. Researchers discussing in the field during the M&E exercise. More importantly, the M&E exercise afforded the team an opportunity to assess the success of the various subprojects, including double density under various uses of fertilizers and good crop management options, on improving maize productivity and its rate of adoption among local farmers. 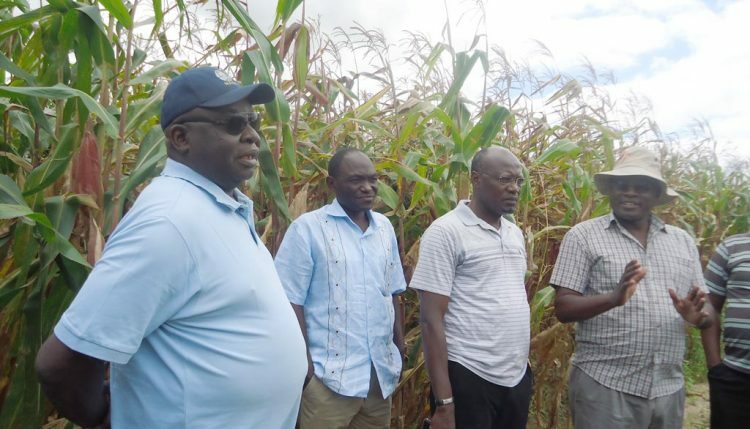 The team visited some large maize farms with double density planting, such as in Nambo Agricultural Camp, in Nkushi District and Kaloso farms, Kabwe, among others. The farmers said this had been very beneficial in terms of robust yield thus leading to increased productivity, and cost-effectiveness in eliminating intense weeding. Issaka Amadou, SARD-SC Monitoring and Evaluation Specialist, concluded that the project has been successful in the country for achieving its set objectives and outcomes. “Last year, we had a low rate of implementation but this has been corrected. 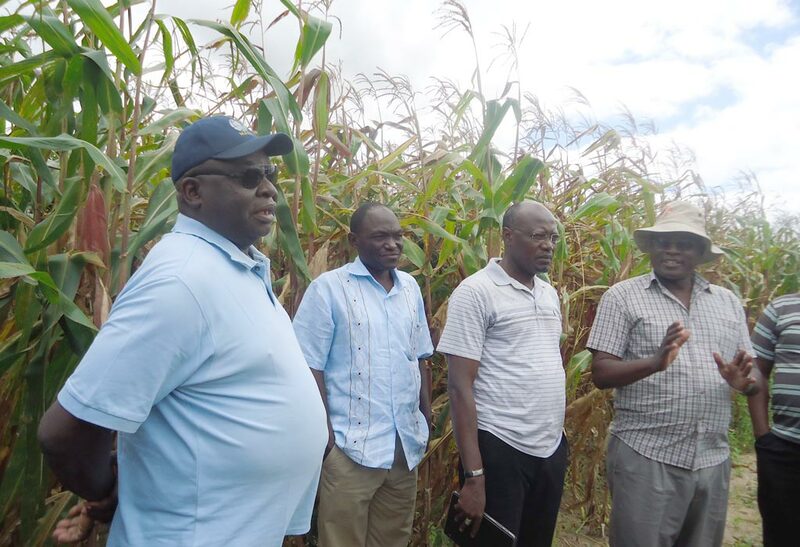 There are demo trials all over the place, training of women in new product development for maize has been achieved, farmer training on double density and good crop management have been conducted, and field days have been held. Local farmers have been organized into Innovation Platforms and in many of the places we visited we saw that the farmers are very committed to executing what the project has taught them.” Amadou also said quantity of resources used had been efficient and gave an assurance that the project had higher chances of being sustainable after the project ends because of the involvement of development partners such as ZARI.